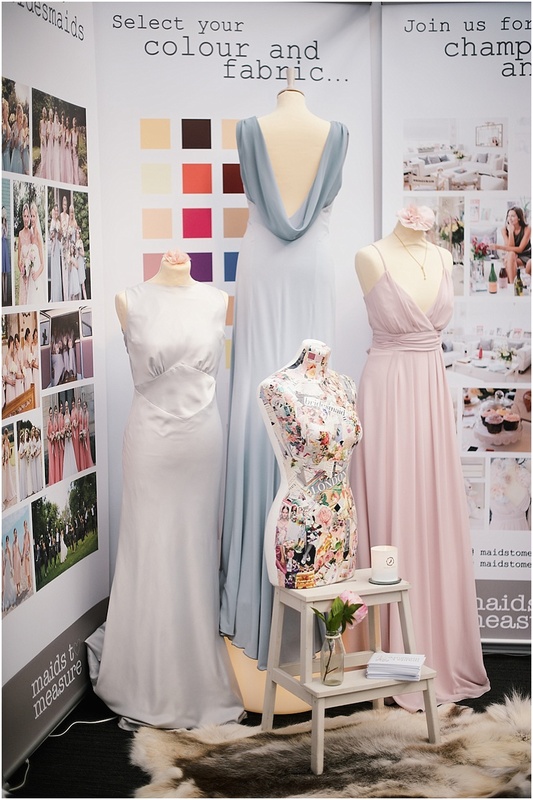 Earlier this month, I ventured off to check out Brides The Show in its new North London home for the Autumn in Angel Business Design Centre. 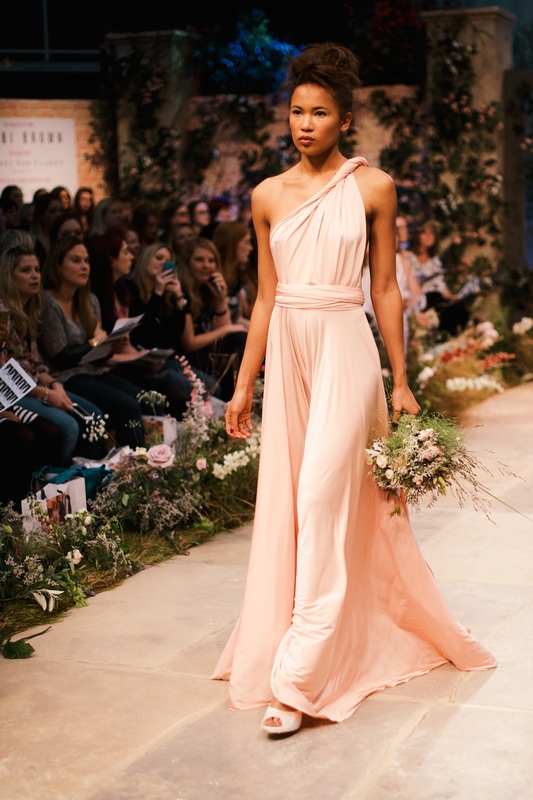 I am lucky to enough to have some gorgeous images of the show captured by Kate Nielen Photography (unless otherwise stated) to bring my review to life for you! 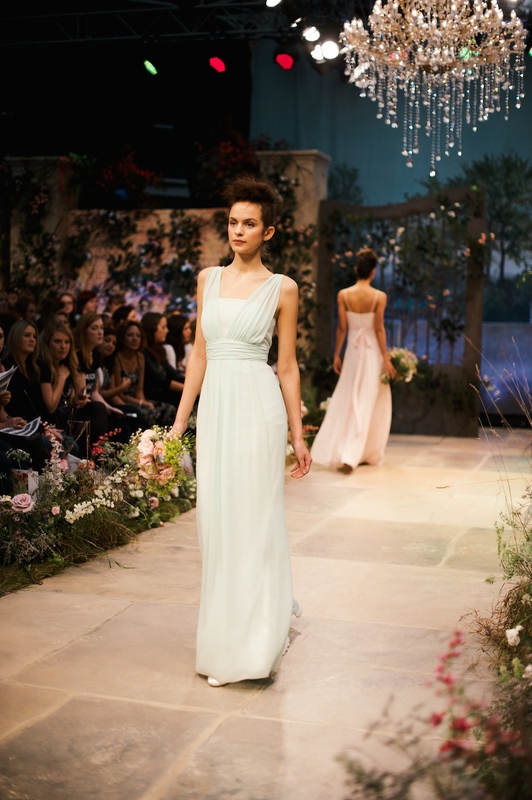 I’ve been to Brides The Show twice in its former location at Battersea Evolution. I have to say in North London it felt like a completely different show. 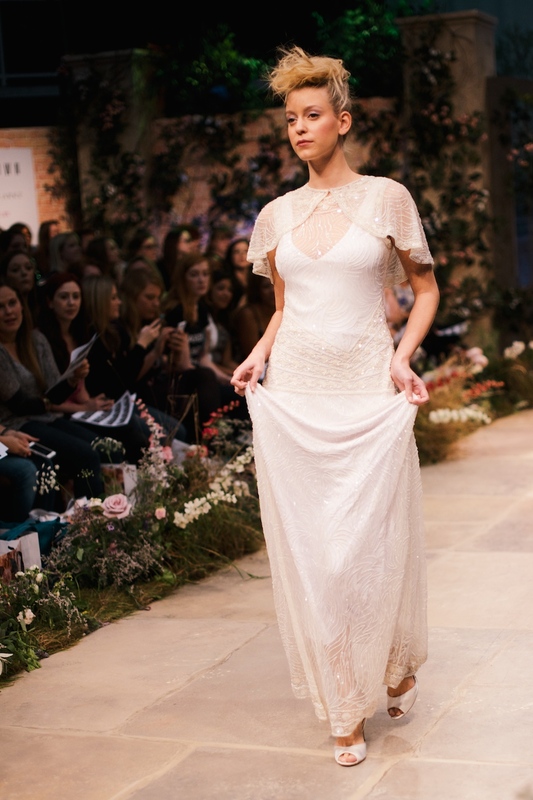 The show was bustling with a whole host of stylish couples and their families, complemented perfectly with a selection of the wedding industries finest. It was great to catch up with so many talented colleagues and feed off of our wedding euphoria, lol! 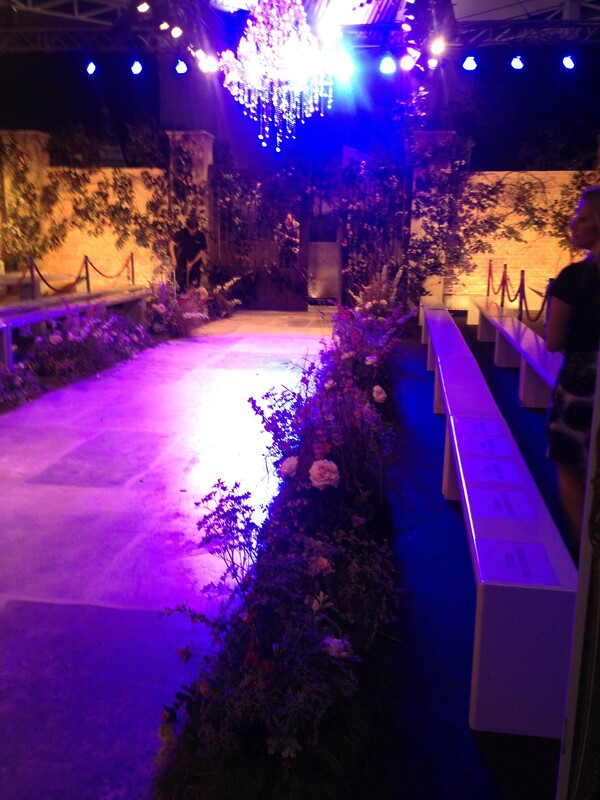 How gorgeous is the catwalk floral design by Zita Elze – snapped this on Friday night with my phone. 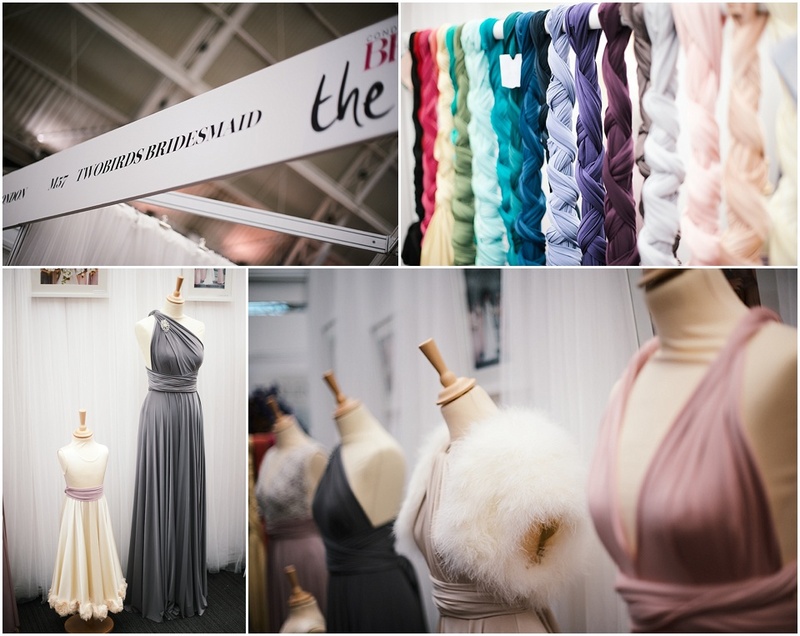 Brides The Show is not like any other wedding show, vowing to bring the magazine to life, it is brilliantly interactive. 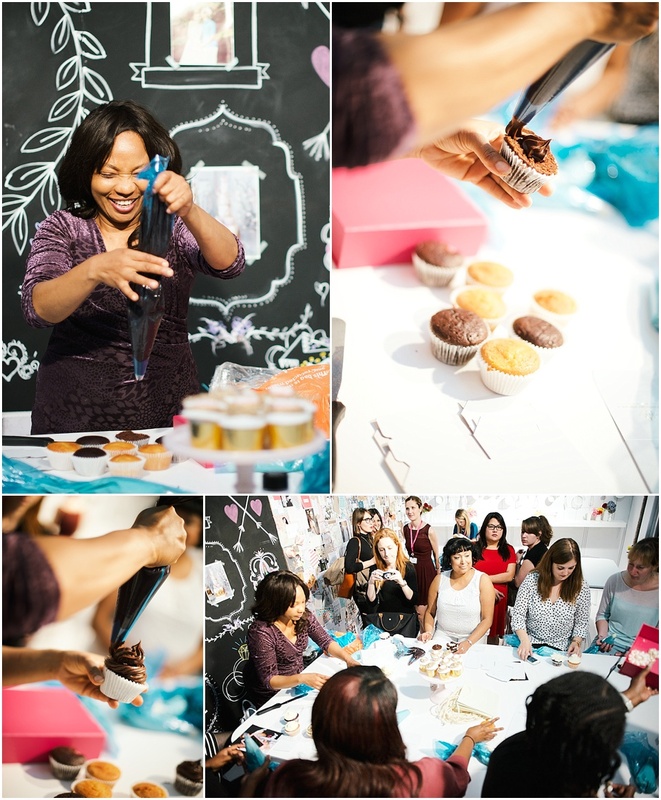 From make up tutorials, DIY cookie, confetti and cupcake workshops, to wine tasting with a top sommelier and a chance to get up close and personal with some of the industries wedding experts. The layout did take a little getting used to, but the map and floor plan made it easier. Based on three levels, with seminars and a super cake competition on the top floor, with most of the action and the catwalk on the mezzanine. The mezzanine was heaving, so it did feel a little claustrophobic during peak times, but overall the venue did give it a more intimate and also an exclusive feel. Overall Brides The Show was absolutely bursting with beautiful inspiration and most noticeably passion. I also was rather impressed by the number of gentlemen in attendance too! 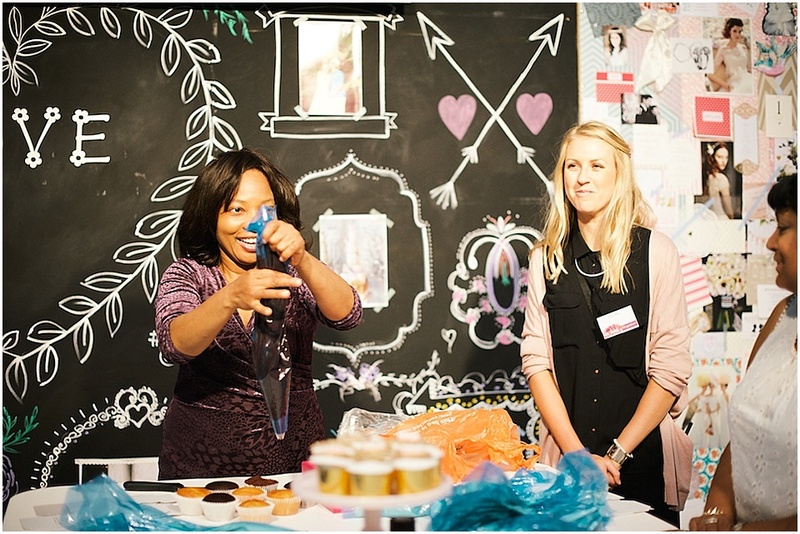 One of the things I love about Brides The Show is the opportunity to interact with other brides and also with wedding experts in the imagination rooms and on the sofa sessions. 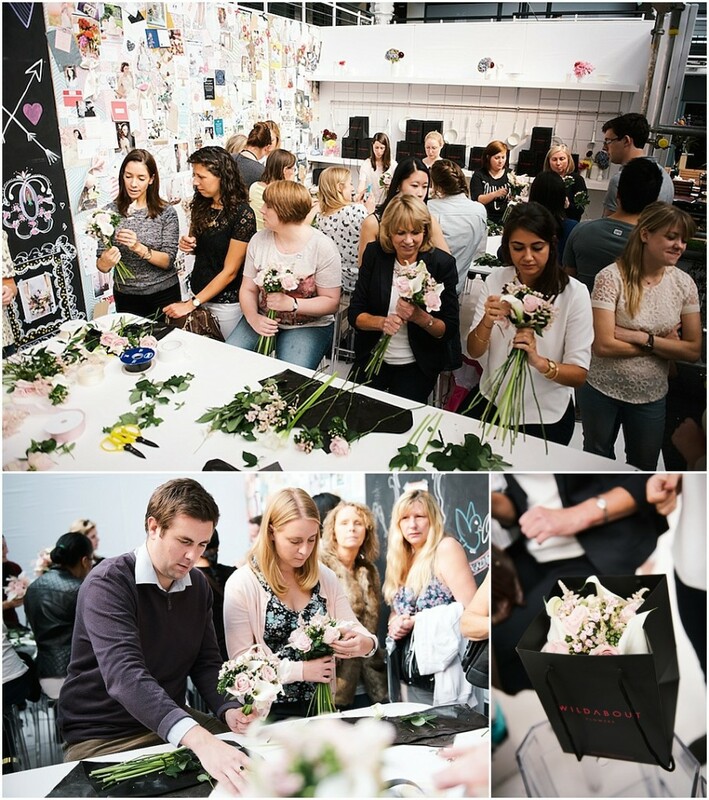 The workshops are always well attended with brides and couples eagerly taking part and others who are just as content watching. Sessions are ALWAYS accompanied by laughter. 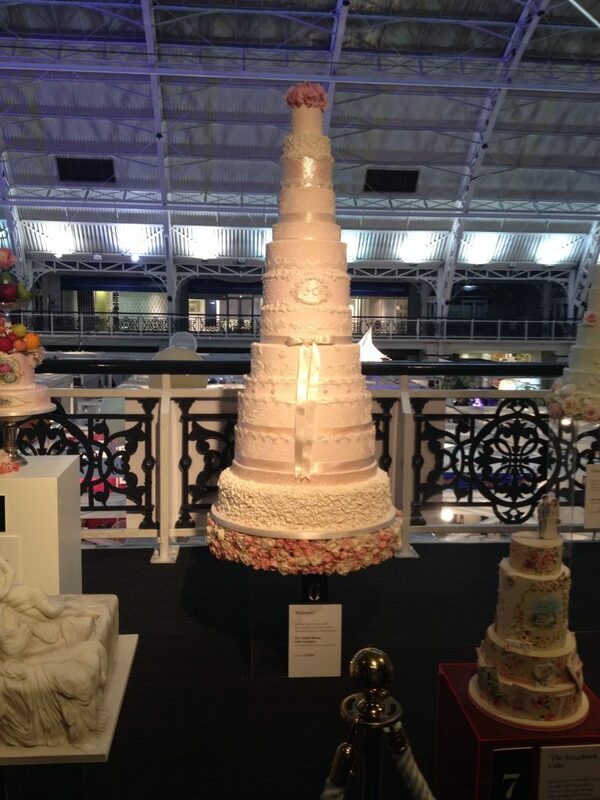 To celebrate Brides Magazines’ Birthday, team brides, had the genius idea to have a bit of a great cake bake show contest between some of the most talented and elite cake bakers in the industry. 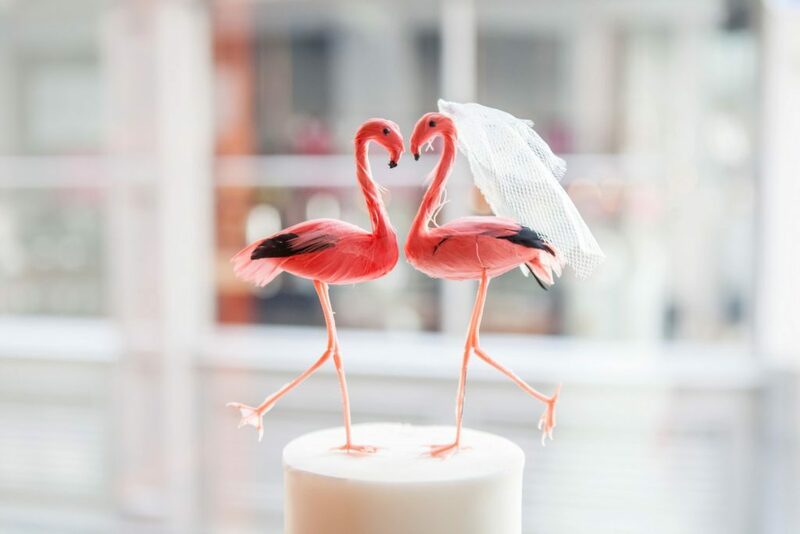 Each baker was given a different brief to create something show-stopping and one lucky couple wins one of these incredible sweet pieces of art for their wedding day, by guessing how much a slice costs! 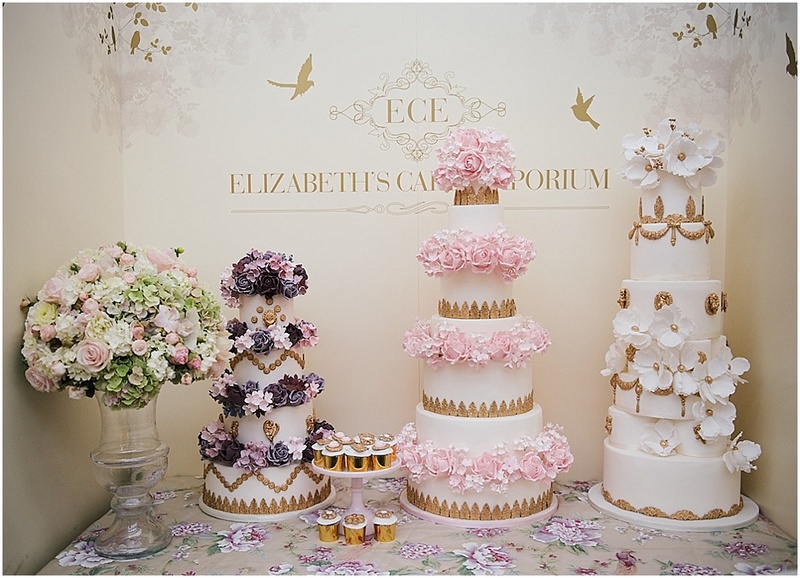 Cake Queen; Her Majesty, Elizabeth Solaru of Elizabeth’s Cake Emporium, proves that fairy-tales do come with this sensational princess wedding cake standing at 6 feet tall! (I can hear you gasping with delight)! 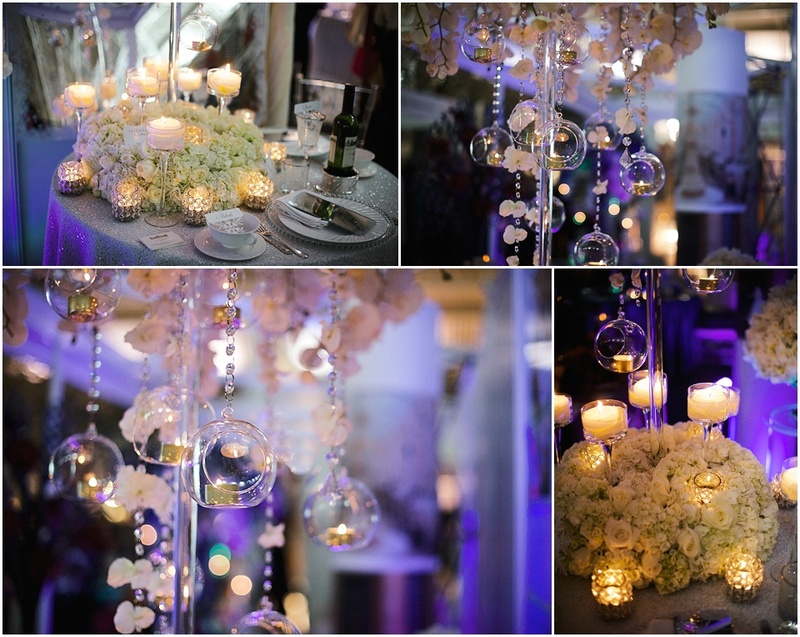 Abigail Bloom created this incredible showstopper below! 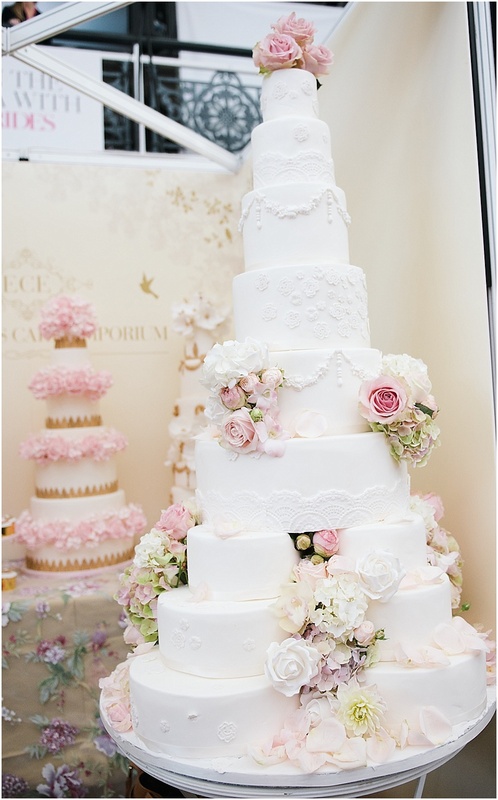 They say tall wedding cakes are on trend for 2015, but this one is the size of the leaning tower of Pisa! Amazing! I was stunned. Beautiful. Chris of Tuck-Box cakes also wowed with his creative talent with this intricate and delicate gravity defying bird cake below. All of them and more. Just wow!!!! 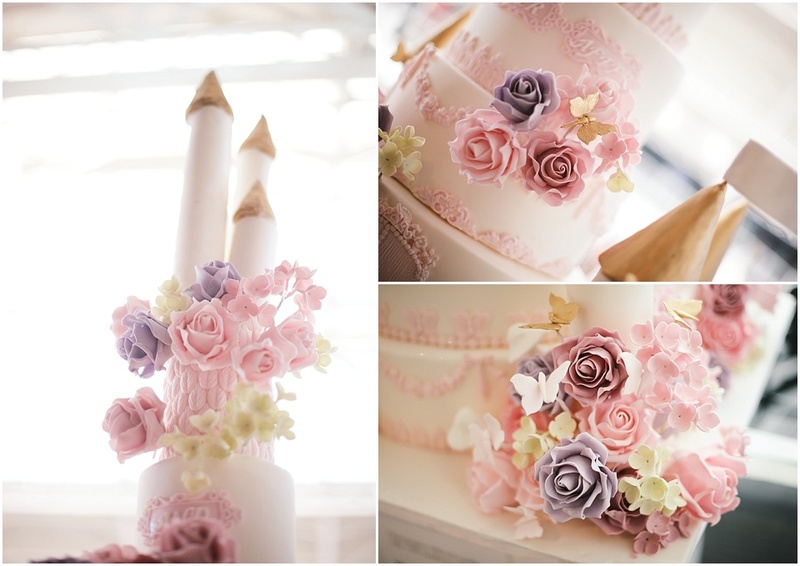 Hearing the cake designers speak so passionately about their own work and each others was just gorgeous. 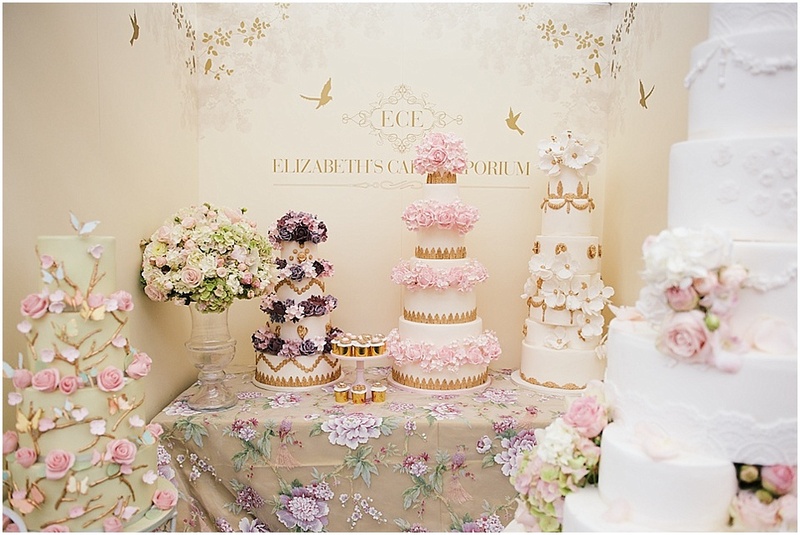 Here are some more beautiful pieces of cake art from Elizabeth’s Cake Emporium’s stand…. 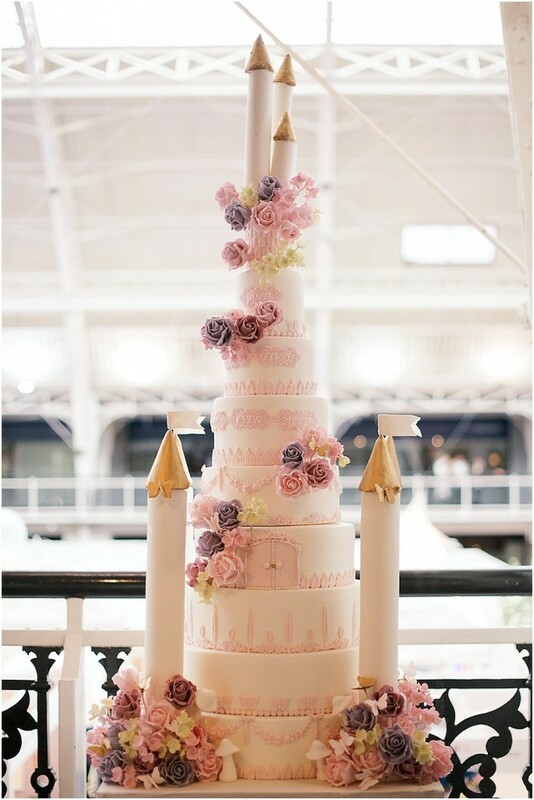 Stunning way if you want to add epic height, drama and opulence to your wedding cake and make it a real show stopper. 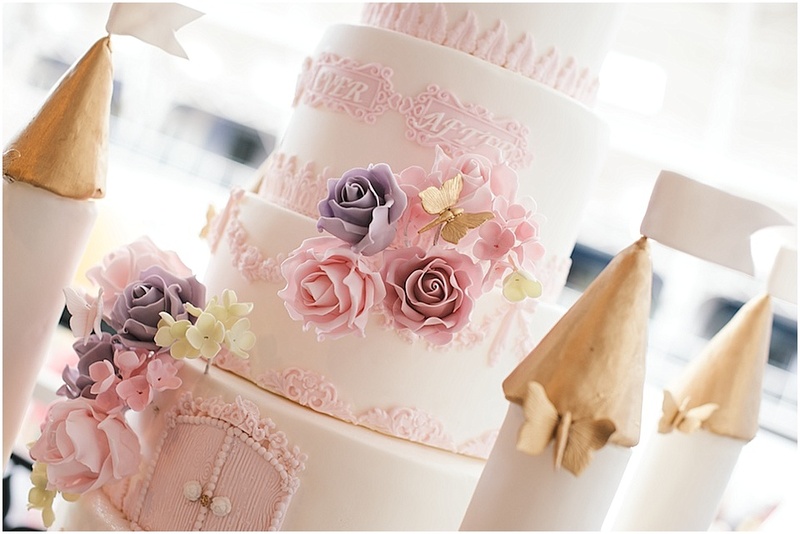 Great example of how to add your wedding theme colour to your wedding cake. It’s not all about white and ivory! The fashion forward dresses on the catwalk introduced some delicious contemporary designs. It also introduced me to a selection of designers I hadn’t yet had the pleasure to meet. I met designer Vicky Rowe who is a bridal newcomer . Her dresses had me at hello on the catwalk and I had to go over and introduce myself. All the way from cosy Wales, she delighted me with her passion for elegance and tambour hand stitched beads! Her dresses effortlessly ooze hollywood glamour. Vicky says she is inspired by the 1920’s and 1930’s and brings a modern-day twist into her designs making them timeless. With the idea that the beholder can wear them for another special occasion, not just a wedding day. Elizabeth Todd – designer Sophie Garrett specialising in corsetry and was another lovely designer to meet. 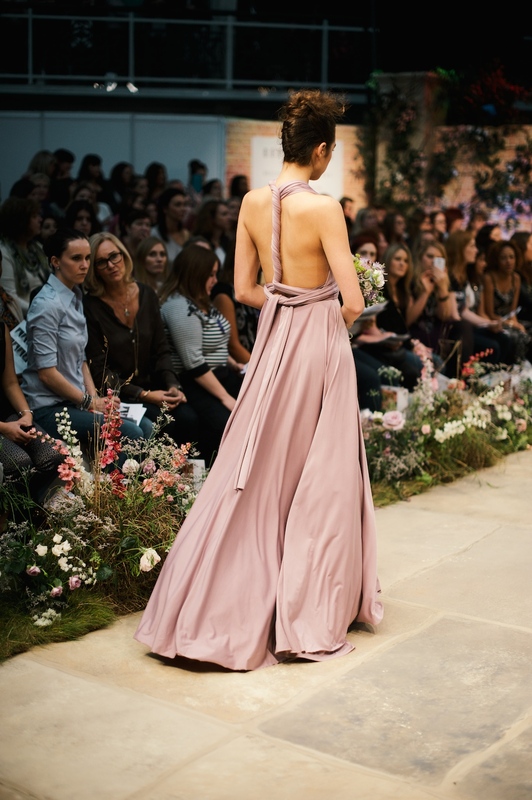 Elizabeth Todd has a whole host of beautiful dresses and one which pretty much had all the colours of the rainbow in it that caught my eye and a gorgeous dress that is the epitome of the princess cut, wowed the catwalk show. The gorgeous Maids to Measure and Two Birds Bridesmaids always look fresh with beautiful concepts for contemporary, stylish bridesmaids and brides who don’t mind their girls looking HOT! 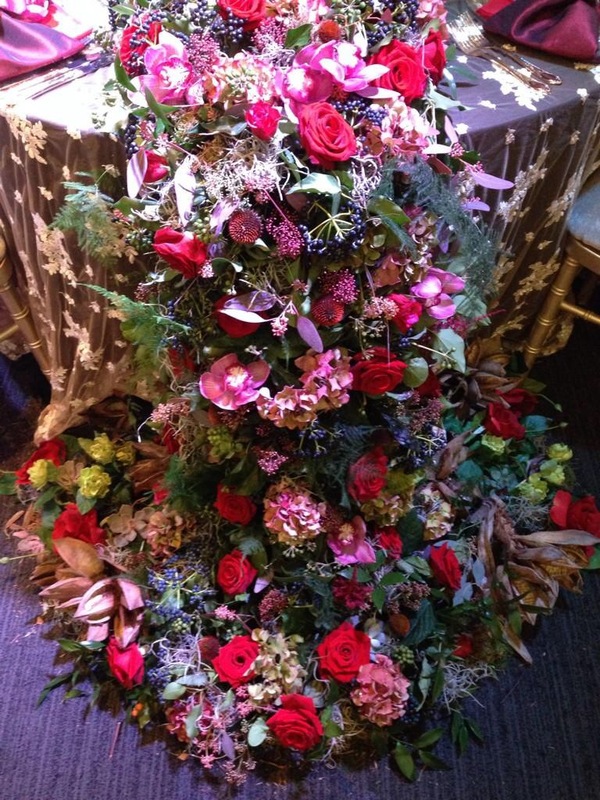 The quality of the floral designers at this show were absolutely breathtaking. I had several jaw-dropping moments. 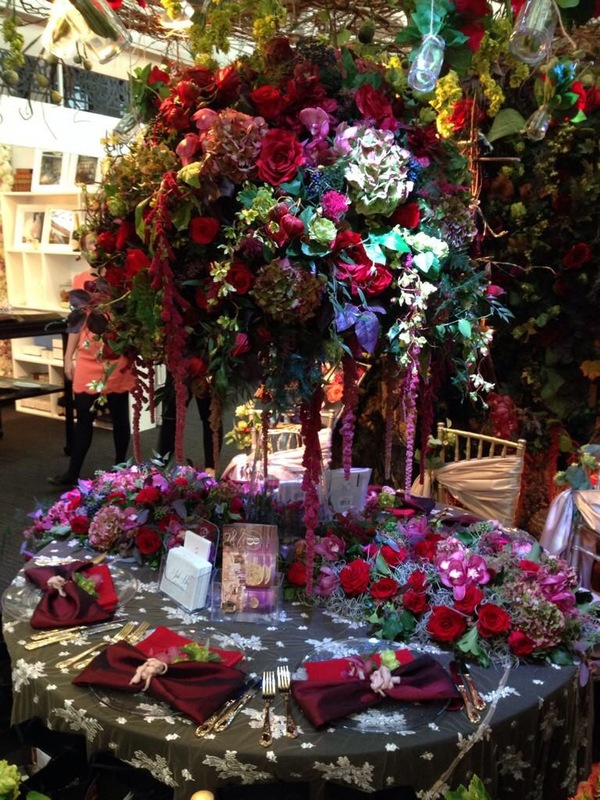 Absolutely incredible floral artistry and visual treats were on offer from Amie Bone Flowers. Amie and her delightful team were our wedding florists and aside from talent, one of the reasons we chose them,, was because of their fun personalities, so down to earth and adorable to connect with. Images courtesy of Amie Bone and my smartphone! 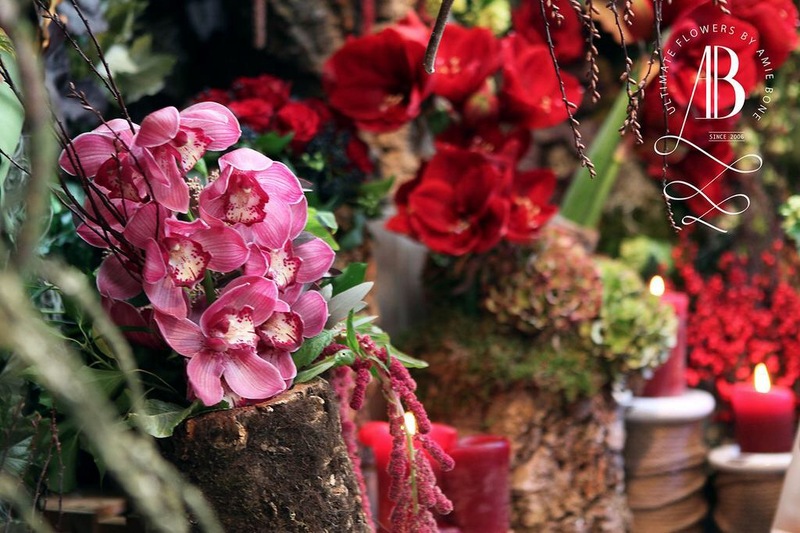 Amie Bone Flowers have just had a stylish new rebrand and have launched, with floral grace, into the London industry. Their display commanded you to stop and stare and featured autumnal tones with my favourite Naomi roses inspired by an enchanted forest. 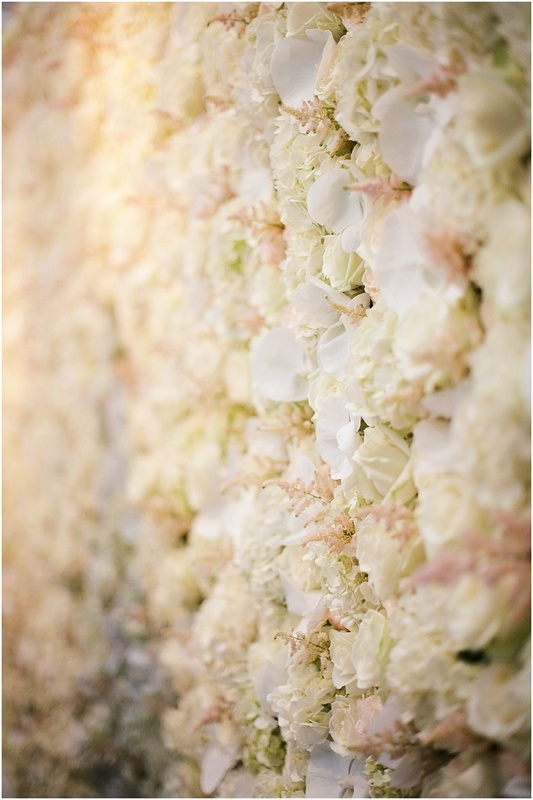 Further sensory delights by the wonderful Wild About Flowers complemented luxury wedding planner Jemma-Jade Events and Elizabeth’s Cake Emporium stands, plus their own stand was beautiful, featuring classic white roses and hydrangea’s incorporating a rather epic and opulent flower wall! 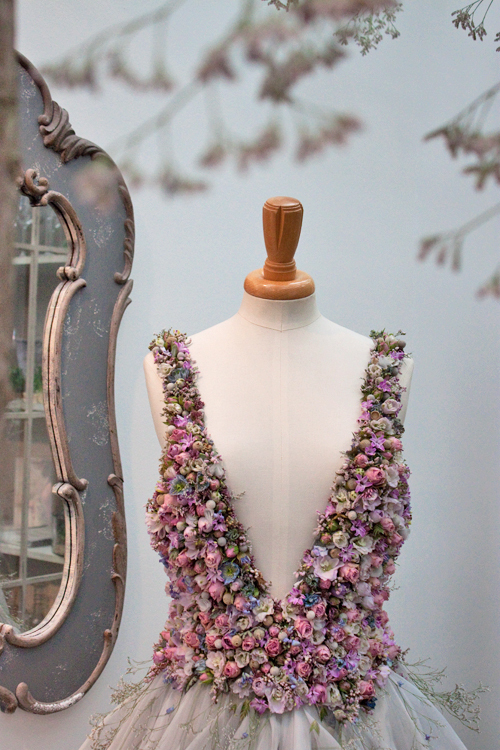 Zita Elze adorned the runway with her unique floral displays. 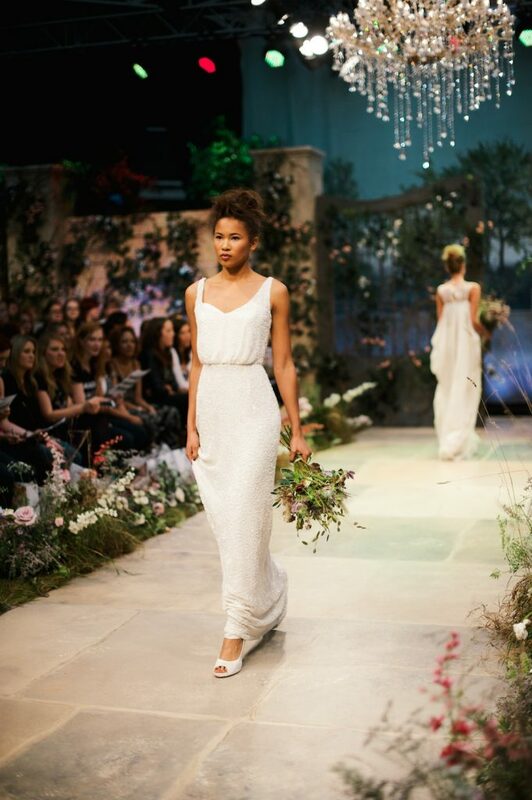 PLUS Zita also gave the catwalk a show-stopping finale on the debut show, with her incredible ‘living’ wedding dress, designed with a bodice made from nothing but fresh flowers, quite aptly named: Sleeping Beauty. Absolutely incredible! Floral geniuses! Round of applause! The show was packed with fantastic quality photographers, each with their own unique style. But for me, a show highlight was by the incredible John Nassari who has developed a heartwarming 36o interactive media, combining live sounds, music, images and video all from your wedding day in an interactive portal. By tantalising your senses it brings back those precious moments of your wedding day in a way you will have never seen before. I can’t describe it, you just have to see it. 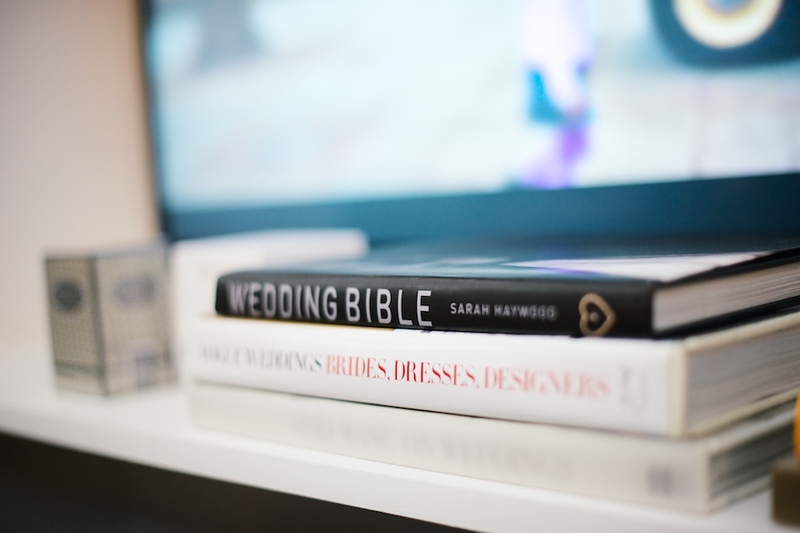 I have no doubt the concept will revolutionise wedding media. I went to the show on my lonesome and knew Mr Nu Bride would love the concept, so I called him to come and join me so he could take a look….and he did! Stay tuned on Nu Bride and I will share it with you – you have to see it! The ever so graceful and unflappable Bruce of By Bruce Russell always has a crowd of women around him. 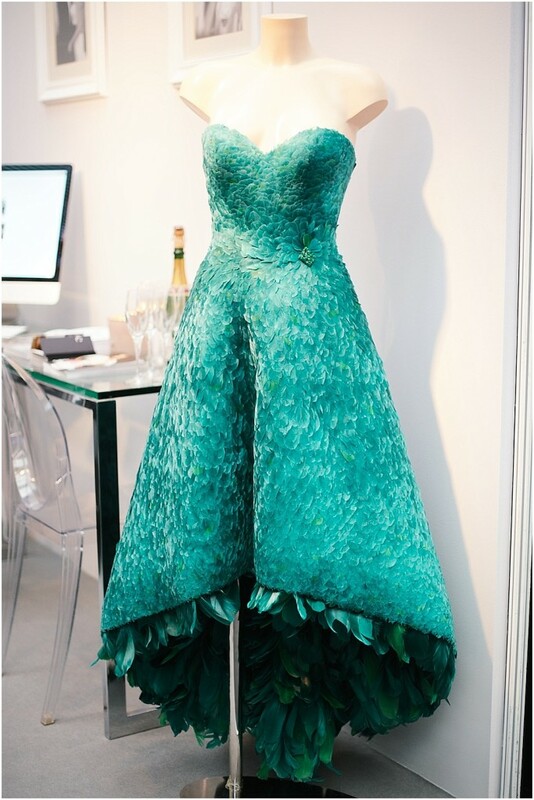 The stand was cleverly featured an incredible teal feather couture dress by Suzie Turner, which featured hand stitched feathers which took 1000 hours to make! 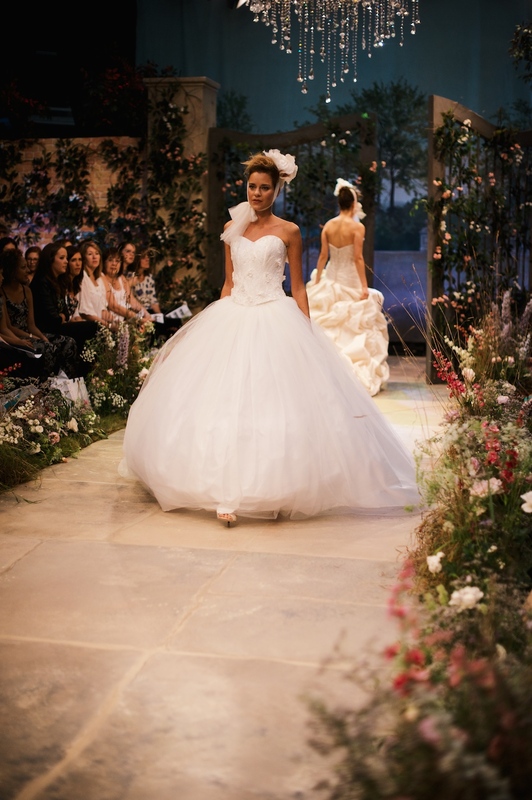 It is so easy to adore Bruce and his team and and they has just launched a new service called, The Bridal Room. 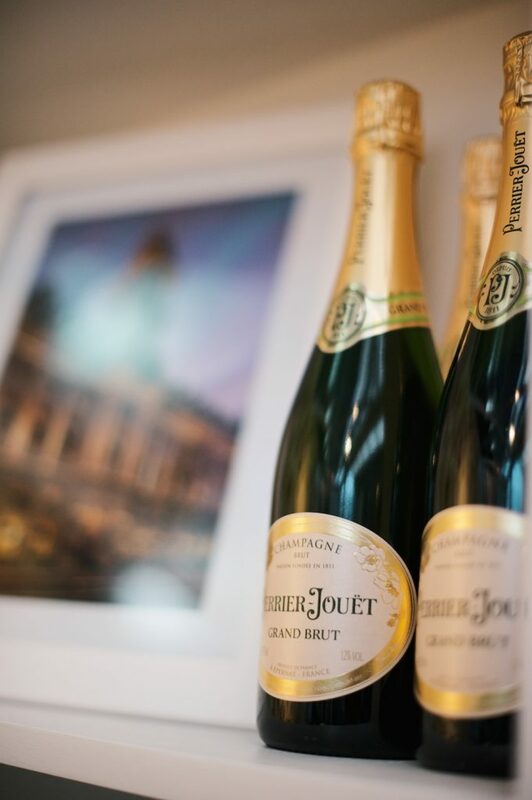 The Bridal Room will provide luxury and elegant wedding products and services from the industries finest, all in one place to simplify the planning process for stylish and savvy couples. 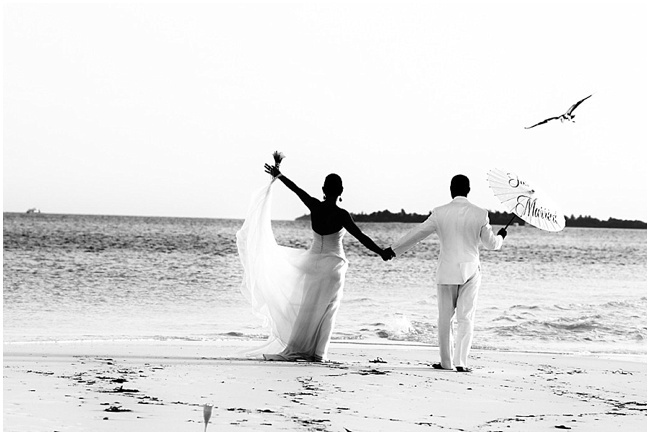 From honeymoon and destination wedding services to luxury gift lists and health and wellbeing. 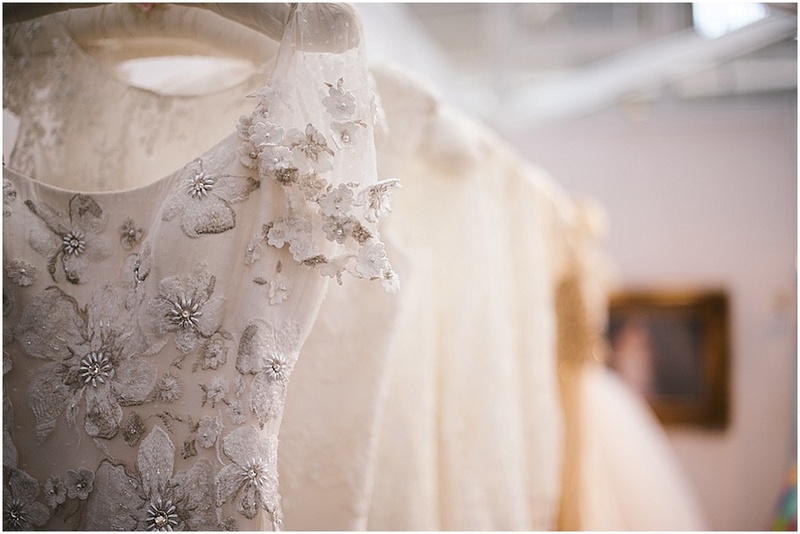 It’s hard to believe Charlotte launched Charlotte Mills Bridal in April this year. She is already taking the industry by storm with her gorgeous wedding shoes! Charlotte filled me in on some of the favourites and reported that brides are enjoying adding colour to their wedding day shoes! I LOVE her traditional ‘silver six pence in her shoe’ concept and the shoes are just gorgeous and like no other in the UK bridal market. 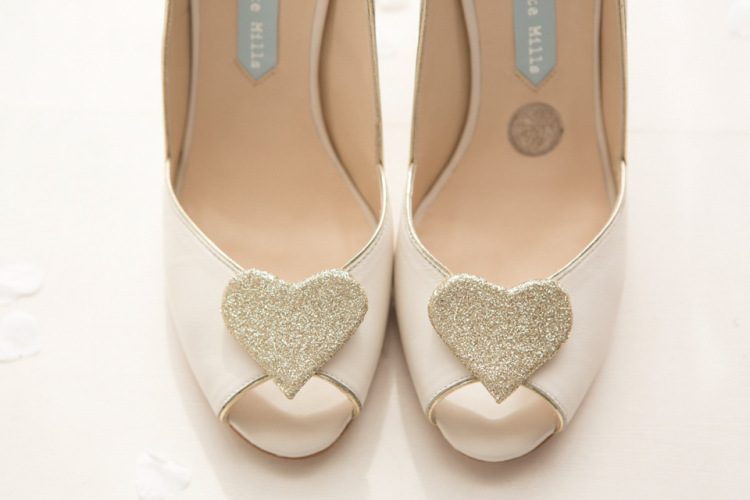 Definitely for the sentimental bride who wants to add a dash of style to her wedding shoes. 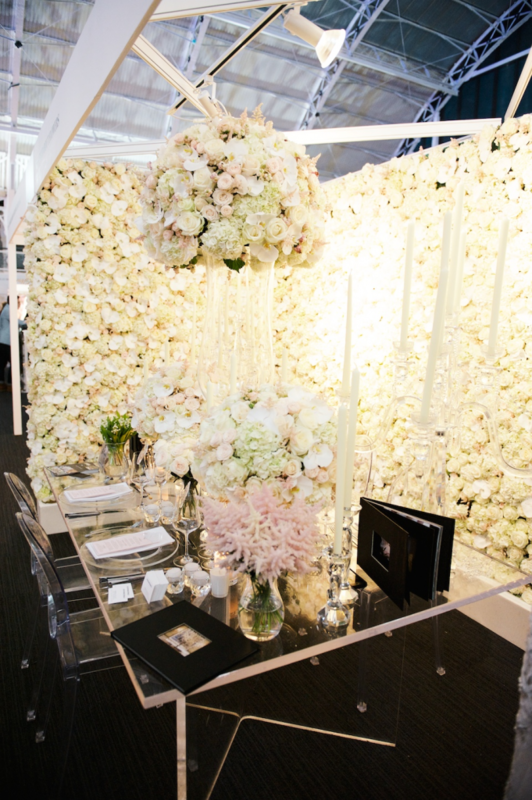 The show even attracted sophisticated luxury 5 star hotel, The Rosewood Hotel’s elegant stand was never without a stylish couple by its side. 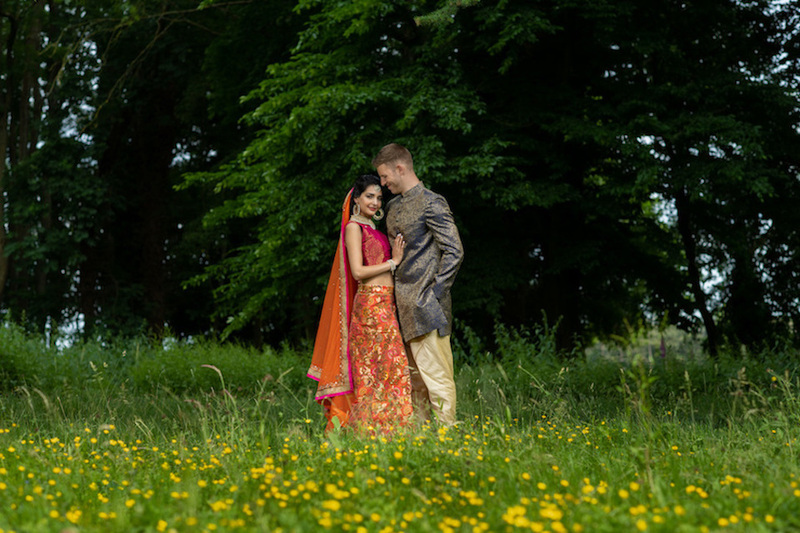 AmaZing Wedding Venues, were wow-ing couples with some of their hidden treasures dotted around the UK and Scotland. From castles to 3 Solent forts in Portsmouth. 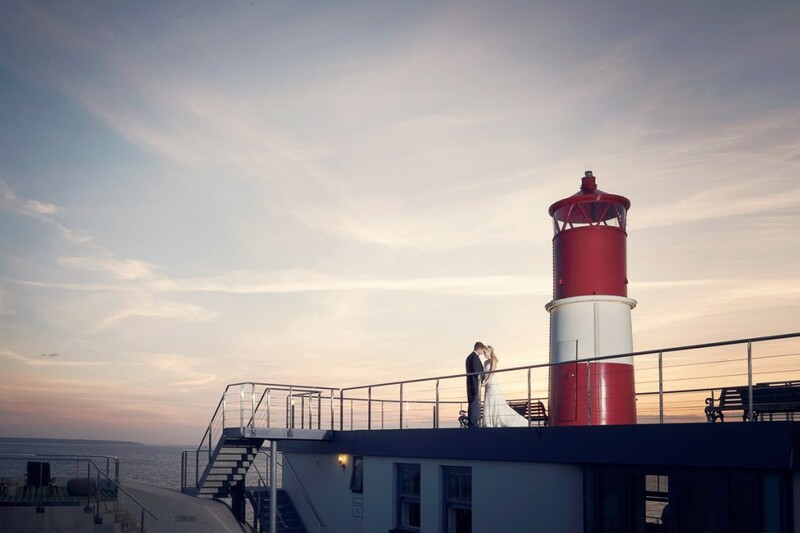 The solent forts are definitely the most unusual and clever wedding venue I’ve seen. For couples looking for exclusivity with the beautiful back drop and tranquility of the sea, decorated with a modern classical twist. 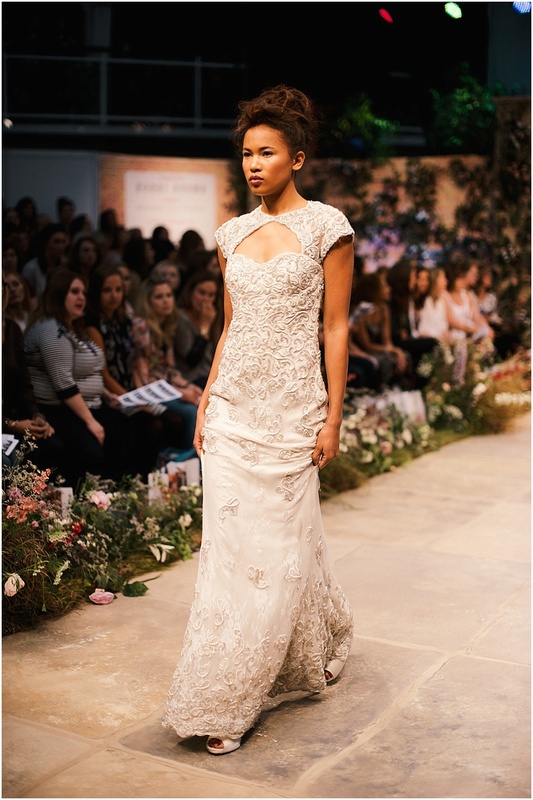 Throughout the show, there were workshops and imagination areas (which I only wish were in existence when i was planning my wedding) and my favourite – on the sofa sessions, a chance for couples and their gorgeous guests to get up close and personal with those who know and adore the industry inside and out. One thing that I did miss and would be nice to see it incorporated in the catwalk area, is the entertainment stage. 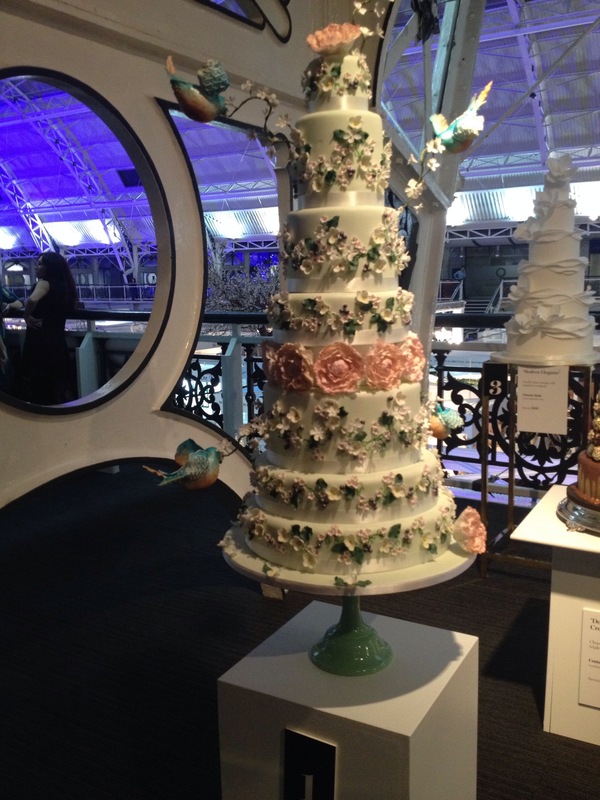 The show was absolutely oozing quality wedding inspiration and a real highlight for me was the incredible cake competition and the interactive workshops. It was also a chance for me to catch up with so many industry colleagues and I was buzzing at the end of the night. 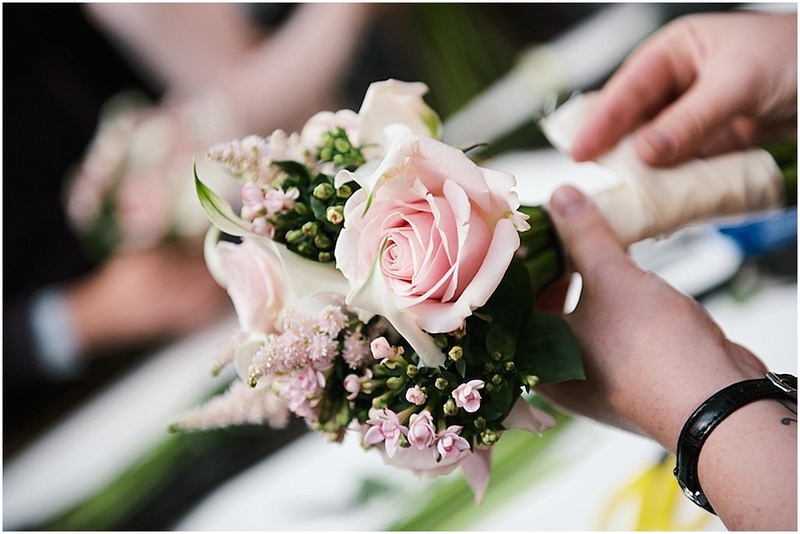 I am very lucky to know so many talented people in the industry and have formed a community of elite wedding suppliers without the pretentiousness who absolutely love to inspire you for their wedding day. Most of these talented people were at Brides The Show and I would definitely encourage you to check out the next instalment in Spring. 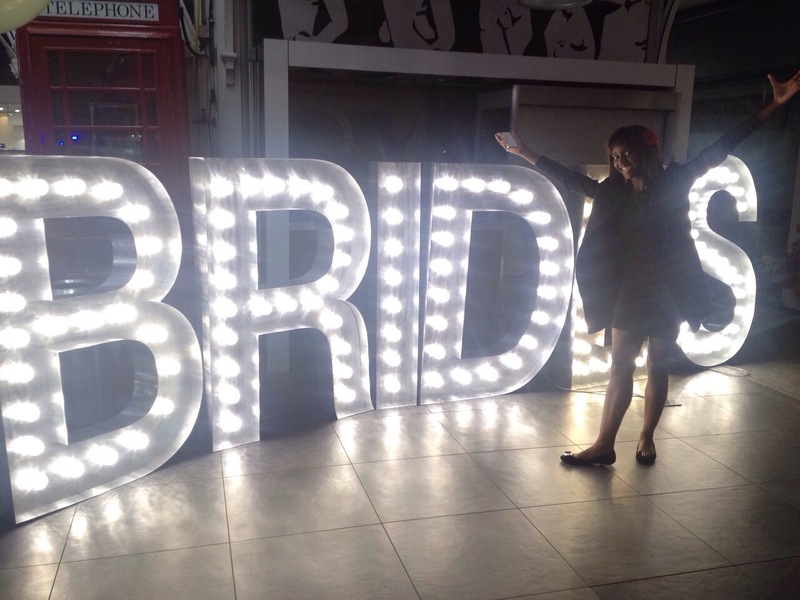 For me this was the best instalment of Brides The Show yet! 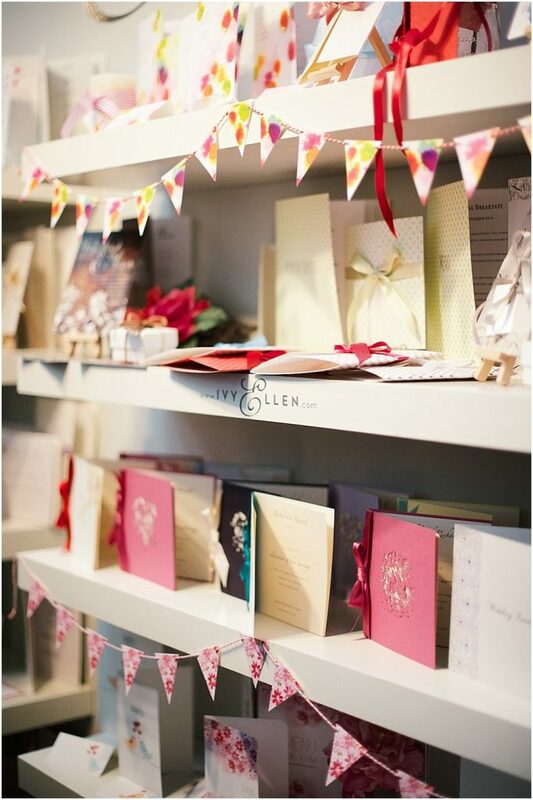 A big thank you again to Kate Nielen for the gorgeous imagery!